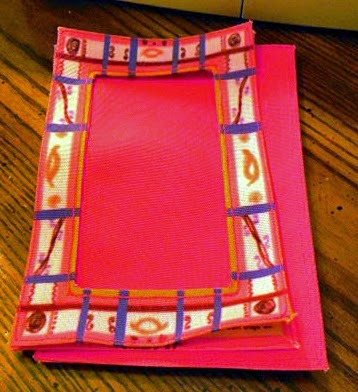 Fabricated Frames "Fabricated" means invented, "Frames" means structure, art made of fabric: Create a washable photo frame with custom fabric sold on Zazzle! 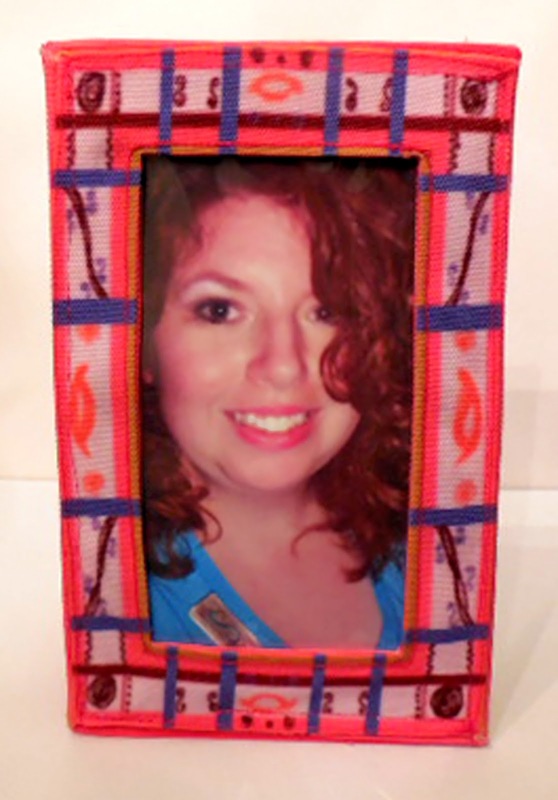 Create a washable photo frame with custom fabric sold on Zazzle! Hi crafters and fabric lovers! From this fat quarter fabric, you will make the picture frame below, that has my Curvy Plaid art design, formatted, and printed onto Zazzle fabric! 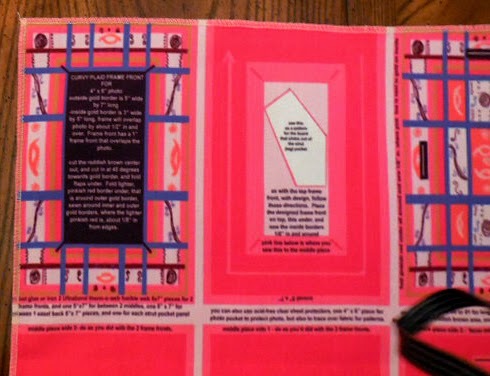 First let me tell you, that Zazzle is now offering custom fabric, where people can buy fabric by the yard, by the fat quarter - what quilters and fabric stores call fabric that is divided into 4 quadrants, divided in half vertically, then again horizontally. And, you can also buy 9" x 9" SWATCHES for $6! That's truly the amazing thing, because you can do a lot with a 9x9" swatch. 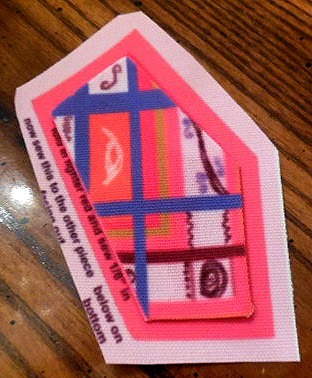 And, I will show you how to use Zazzle's swatch in my next blog post. As for fat quarters, usually, quilter cotton is 44-45" wide, so the fat quarters are normally 22x18". However, Zazzle is offering wider fabric, in increments of 54", 56", 58", and 60" wide, depending on the fiber type, as they offer combed cotton, polyester poplin, and linen, to name a few of their 7 fabrics available. So, the fat quarters on Zazzle are slight larger than normally sold out on the market, which means you, the customer get a lot more fabric for your buck, and artists can place more art on the fabric! Artists / designers can upload their art, and have it repeat on the field of fabric, from basic repeat which is the element or motif just repeated across and down, equally, like a grid, with the pattern's motif elements matching up evenly. Then, there are half drop repeats, horizontal, and vertical. And art can be re-sized to fit in the field, and then repeated. Plus, you can add a background color to areas which are white. 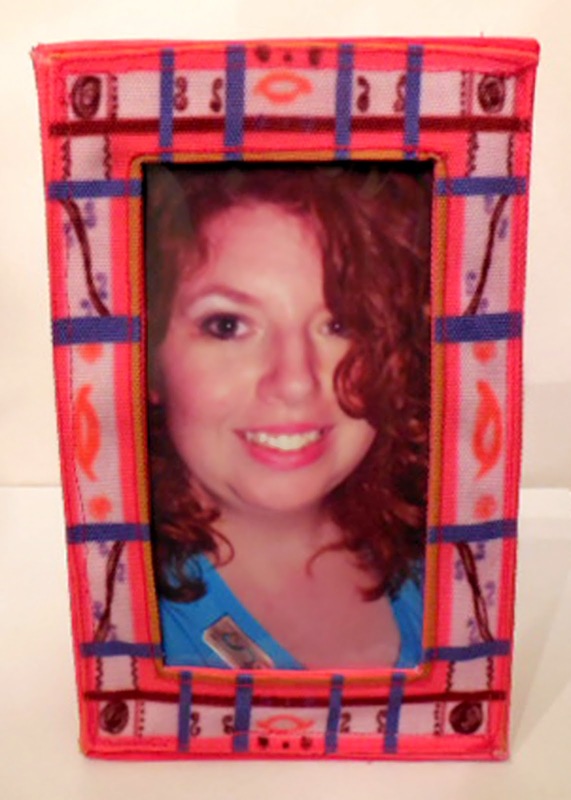 In this particular blog post, I will be showing how artists can design, and crafters can make, sewing craft projects, like this one to make a WASHABLE, SEWN, FABRIC PHOTO FRAME for a 4x6" photo, using a fat quarter of fabric. I chose the polyester poplin, but combed cotton can do the trick, to use for this project. You chose which fabric to buy, just make sure that you see the layout on that fabric before committing to buying it. 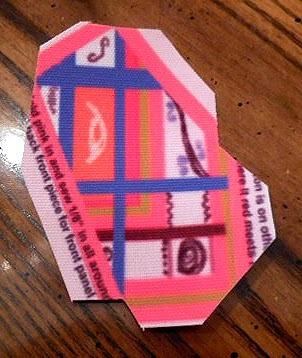 A lot of art, a lot of sewing crafts, believe it or not, can fit inside a fat quarter. On this particular fat quarter, I have all of the parts, panels, to make the photo frame, and on the upper right corner, I have all of the panel part patterns to make the washable, sewn, fabric brooch, with removable bar pin back, 1 3/4". Pin backs are sold in packs of 10, 44, and 48 at AC Moore, Michaels, art, craft, and fabric stores. 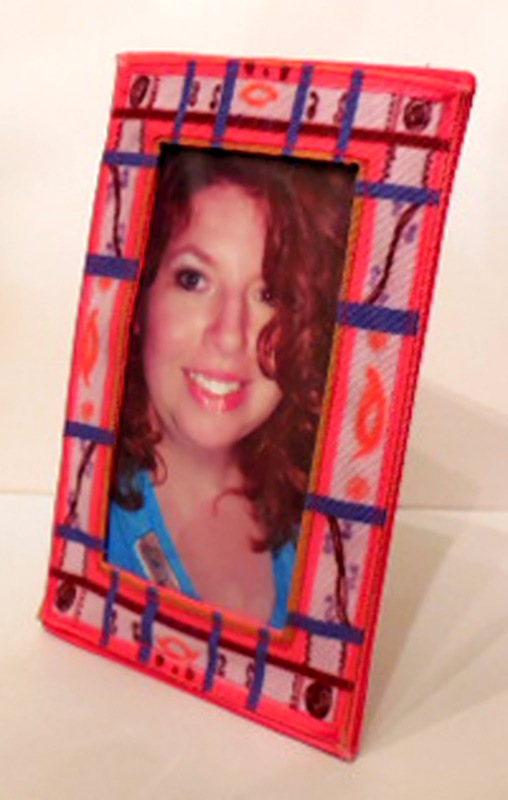 All of the step by step, text instructions are listed in the description area of the item link on Zazzle, plus the extra supplies & tools needed to make the frame and brooch. ALL supplies and tools can be bought at a craft, fabric, or art store, with the exception of a sewing machine. 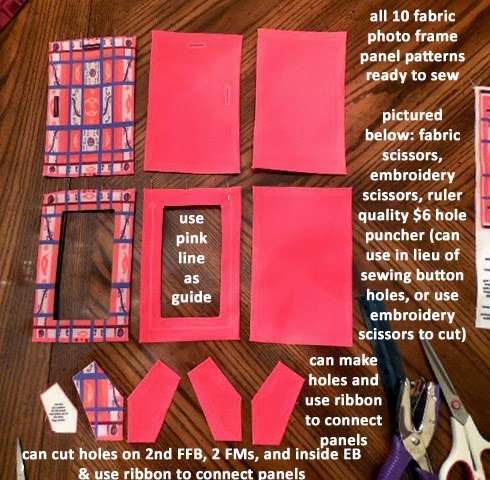 I am working on NO SEW, washable fabric frame and brooch patterns and instructions, and the brooch can be made without a sewing machine, by substituting hot glue sticks, and a low temp glue gun for the sewing machine. 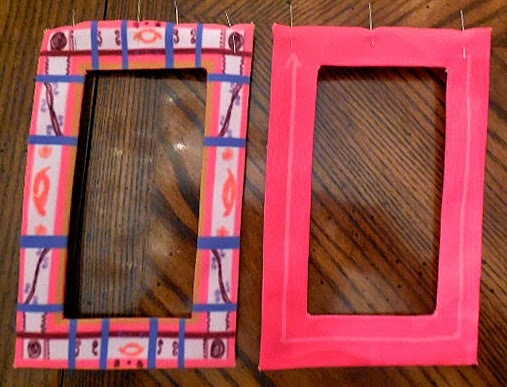 You "can" make the frame a "no sew" project, but you'd need to use those pointy, embroidery scissors or a good hole puncher, and make holes along the light pink line, shown on one of the frame pattern panels, 3 on both vertical sides, and 3 along the bottom part of the line - 7 holes total - just make sure that you align THAT panel, when finished, on TOP of the 3 other INSIDE finished panels, and make sure that the holes are in the same place on all 4 inside panels - you'd run that super skinny 1/16" wide ribbon through the holes, to connect the panels. You'll see what I mean in the photos below, later on in the tutorial. 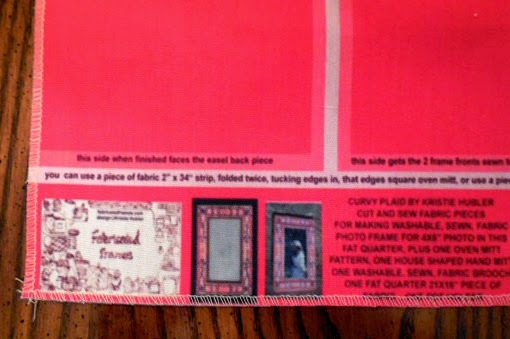 I decided to arrange and place my sewing pattern panels ON the fat quarter, with instructions ON the fabric, for making my washable, sewn, fabric picture frame for a 4x6" photo, that I invented back in 2006, with my Curvy Plaid art design, formatted to fit inside the frame front, the easel back, and strut leg front panels of the frame. If you miss a step, just refer back to this blog post, as well as the link's description section. The art, called Curvy Plaid, is the title that I created, for what I call an abstract, feminine type of folk art, with lots of REALLY bright pinks, salmons, orange, gold, darker periwinkle / iris, aubergine like dark reddish brown, with lots of curly cues, swirls, wiggles, curves, dots, and flowers set inside the grid of a plaid layout. 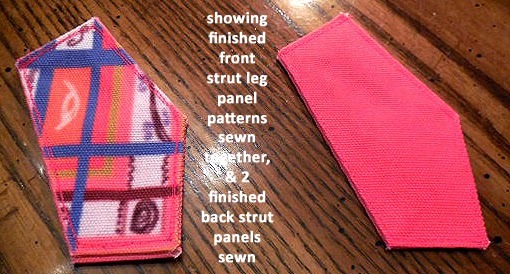 The sewing pattern download printables are also available at http://fabricatedframes.com and at http://craftsy.com/user/2496069/pattern-store, for printable art on June Tailor washable, colorfast, inkjet printer fabric sheets, available at JoAnn Fabrics, for making my frames, brooches, house shaped potholders, and other sewing crafts, with my art formatted for panels. And a version of these crafts for this art will be posted on those sites, soon, to print onto inkjet printer fabric. I will provide links below, as well for buying supplies & tools. Ok, so I picked the polyester poplin, fat quarter size for this project. It costs, $17.95, but you can buy the combed cotton, for $11.95, that also has a nice weight to it, prints just as beautifully. I also placed a panel of the art, almost like the one that looks like the easel back panel in the frame. I figured that you could back it with a solid colored or coordinating fabric, and make a mug rug, or a wall hanging tiny tapestry ornament textile. So, you're getting 3 sewing projects, with instructions, tools and supplies listed on the fabric, for under $12! Not to mention that Zazzle frequently offers sale promocodes from 15% to up to 50% off sometimes. You're getting a great deal, with quality fabric! Today, we will focus on making the picture frame. 2nd Inside FFB - this panel's inside edge, the surround of what I call the "picture window" or PW for short, or area where the photo shows through, is sewn to the inside edge of the FRONT FFB. It also gets sewn to the FINISHED Frame Middle panels, or FM for short - sewing this panel to the FM makes a pocket for the photo and it's acid free, clear, sheet protector sleeve, cut to the size of the photo. FM - 2 panels of fabric with Thermoweb Heat n Bond ironed to the back, make the Frame Middle - the frame middle, when finished, helps as a divide to make a pocket for the photo on the one side, and a pocket for the removable, slide out, easel back board, on the other side. EB - Easel back, 2 fabric panels backed with Heat n Bond - the FM's outer edge is sewn to this panel, and the finished strut leg pocket is sewn to it, at the top of the strut leg pocket, ribbon connected the bottom right corners of the strut leg pocket to the finished easel back panel. 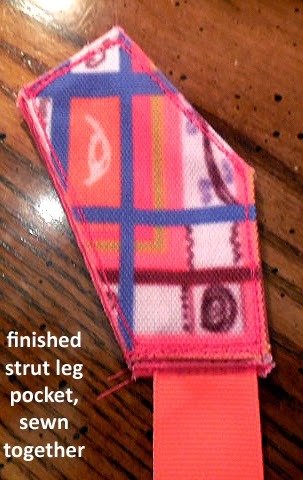 STRUT LEG - "strut" means leg, the leg that pitches out, to allow the frame to stand on a table or shelf. 4 fabric panels with Heat n Bond ironed to the back, make 2 finished panels, front and back, front with art formatted, for the removable, slide out strut leg board. The removable easel back and strut leg boards are cut from mat board or cardboard, your choice. Mat board can be bought at AC Moore or Michaels, 32" x 20" at Michaels for $5 roughly, 32" x 40" at AC Moore. 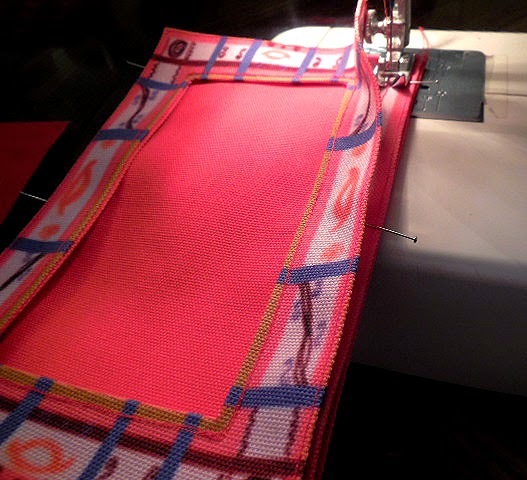 The strut leg board pattern is provided, and is seen INSIDE the 2nd Inside FFB panel on the fabric. For the easel back board, just cut a piece of board 4x6". Thermoweb Heat n Bond, sold by the yard at JoAnn Fabric, in 1/8th, 1/4, etc. increments - buy 1 yard - sold by the 17" wide by 5 yard roll at Michaels, $8.99 roll, use a 50% off coupon and buy for as little as $4.49 a roll - can also buy at AC Moore - comes in Ultrahold, an acid free adhesive- and Lite, great for sewing, thinner than Ultrahold, goes through your machine well. I've used Ultrahold for 15 years, well. 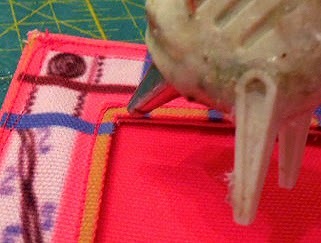 Just use a straight pin to remove any glue that gathers around your machine needle, or to clear the hole in the needle. 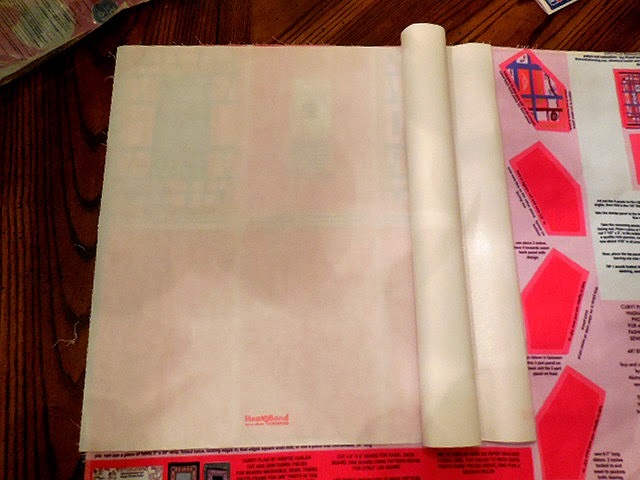 Heat n Bond is a paper backed, iron on, fabric adhesive, a fusible web. It is a stabilizer, and for our purposes, it adds structure to the frame parts, helps the frame stand up well, even helps keep the right angles on the frame from bunching and keeps them crisp. It's an AWESOME product! 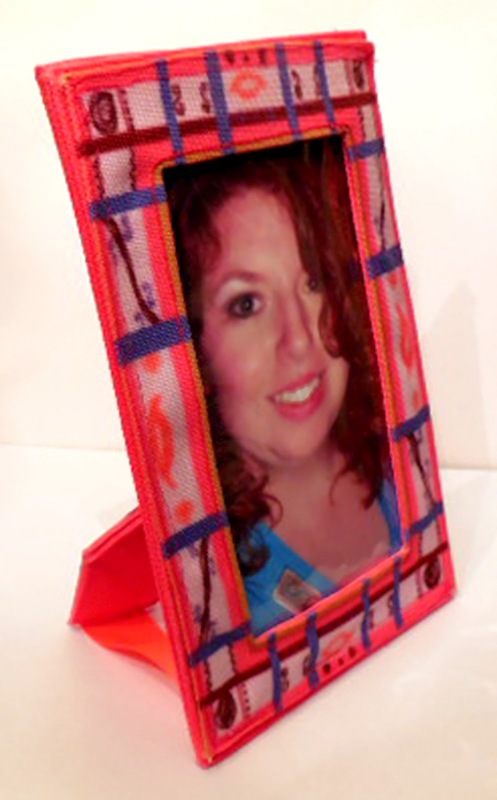 I use it for all of my frames, all of my brooches, even my washable, fabric tree ornaments. Thermoweb is exclusively used in Fabricated Frames products. Fabricated Frames is listed on Thermoweb's business friends link page. thread - 1 roll - frame uses about 1 bobbin's worth of thread, roughly, so a small or large roll will net a frame, buy 2 rolls just in case, for also making the brooch, and other project on fabric, as well as frame. 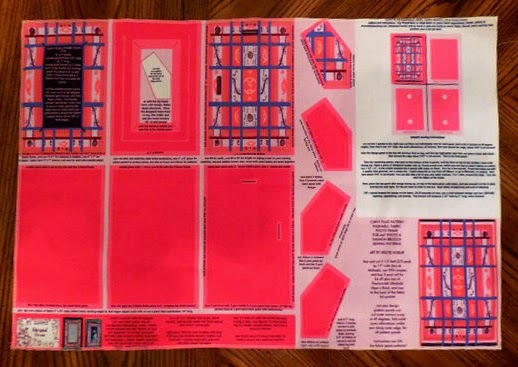 mat board or card board - total no larger than 7" wide by 6" long for both boards. 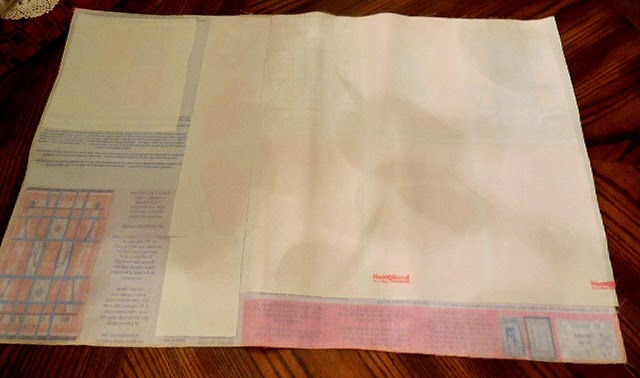 clear, acid free, sheet protector page - cut to size of photo, use folded edge as ledge for photo to situate, so turn the page on it's side, and pin your cut lines with straight pins or use a paper cutter - can be bought in packs of 50 sheets at Target, Walmart, Walgreens - just make sure the pack reads acid free. 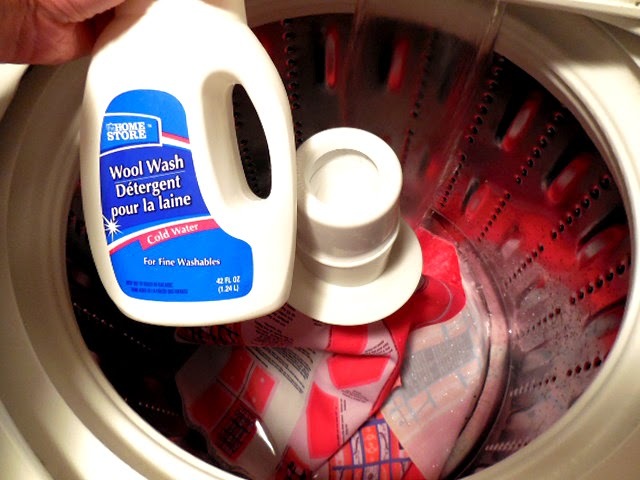 First, I washed the sizing out of the fabric, in cold water using mild detergent, and then placed the fat quarter in the dryer on low. Here is the fat quarter, as it was printed. 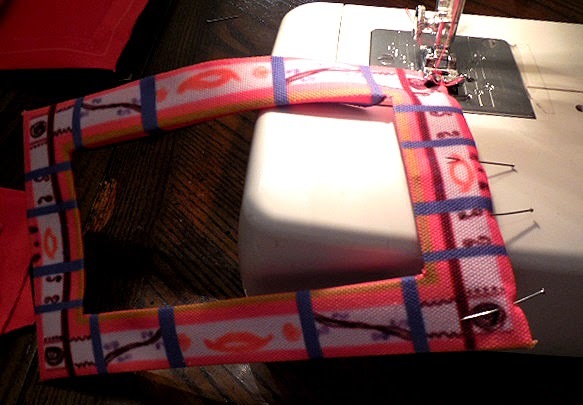 The manufacturing print company, Manual Woodworkers, based in NC, serges the edge of the fat quarter, so cut the serger thread away from the pattern edges with the embroidery scissors. Here is the bottom left corner with my ID info, my info, and a photo of a finished fabric frame with the art, showing you what a frame looks like. This particular frame had the art hand painted onto the fabric, using 2 ounce acrylic paint mixed with textile medium, for the paint to adhere to the fabric. These photos show you how to visualize the frame. I took the original frame, scanned the art on front of it, and tweaked it digitally, for this frame design, printed on the fabric. Here I am rolling out the Thermoweb to determine where to cut it - just cut what you need, making sure that all of each panel is covered, including the seam allowances. 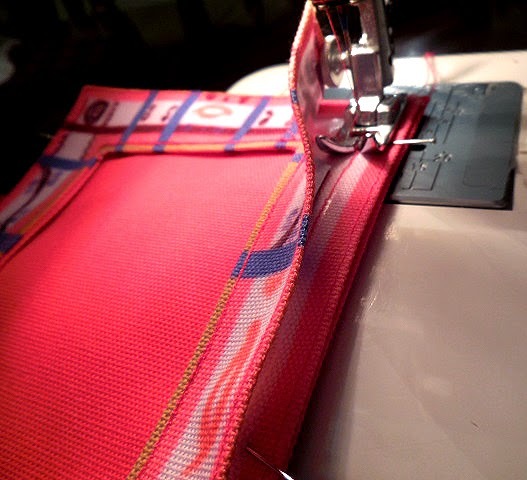 Making sure that Heat n Bond gets ironed to the seam allowances helps, so when you fold your seam allowances under to the back, this helps both seam allowance flap and main part of the panel to stick together. Just use your fingernail bed to burnish the 2 to stick. These are pieced Heat n Bond ironed onto the back of the fabric fat quarter, where need be, so you don't have to cover the whole fat quarter. 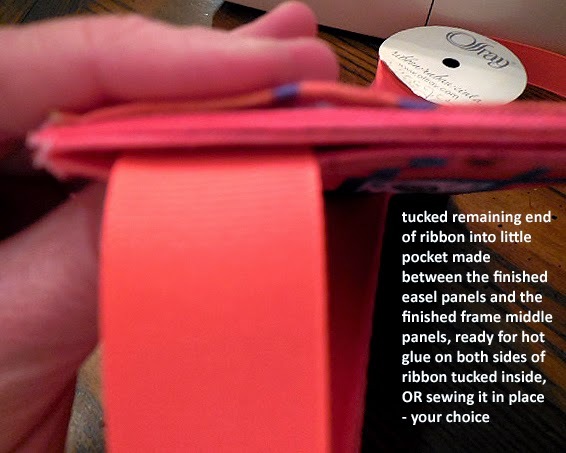 You will cut around the OUTER edge of all panel part patterns, making sure that you allow for the lighter colored seam allowance to surround the main panel. 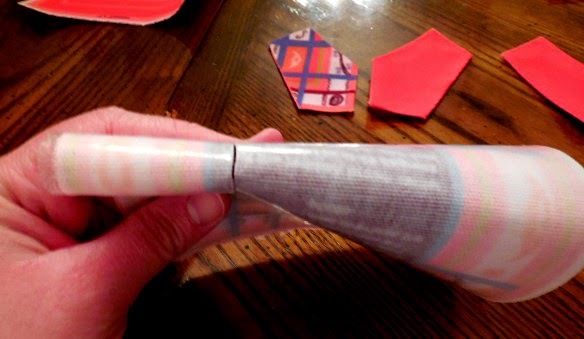 You will cut all of the corners away at as close to 45 degrees as possible, by eye. 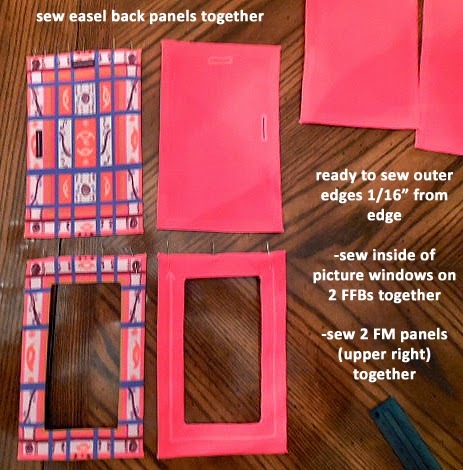 You have 10 pattern part panels, so do this for all of them, also, make sure that you cut the center out of the frame front border panels, making sure that you leave a seam allowance to be folder under on the inside of them. 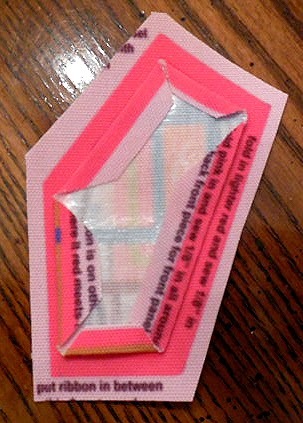 Then cut along lines at the inside corners, eye-ing the cutting as close to 45 degrees as possible. Here you see the FRONT strut leg panel. 3 of corners are cut at close to 45 degrees. You will see 2 corners cut slightly differently. Just follow the cuts shown in the photo, the cuts are close the inside pattern panel outer edge, following the lines of them, for those notches. Do this for the other 3 remaining strut leg panels. Here they are, with checking to make sure the panels are the same size, with panels fitting within the main panel pattern, as seen. 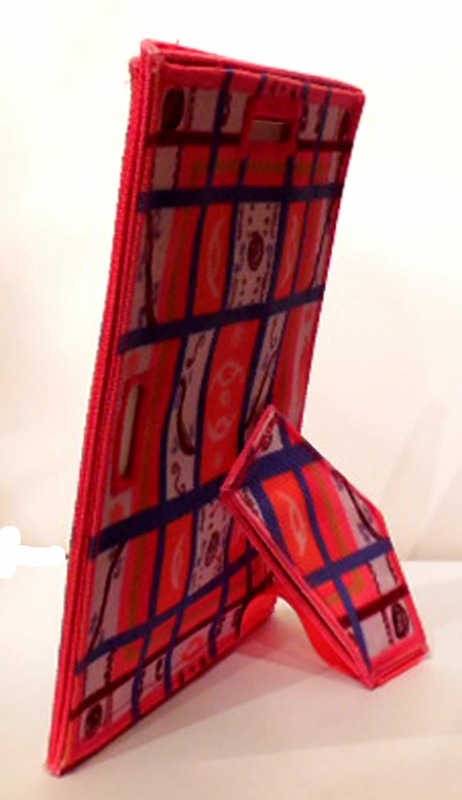 on the FRONT FFB panel, follow the line where the dark reddish brown center meets the pink seam allowance, fold panel in half like shown, and cut a slit, follow the line cutting out the center. 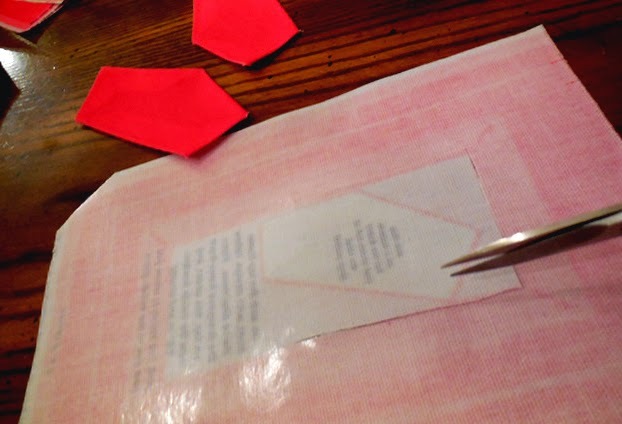 Then cut into the inner corners with your embroidery scissors, along lines shown on panel on the front. Do this for all 4 inside corners. Do this for BOTH FFB panels. 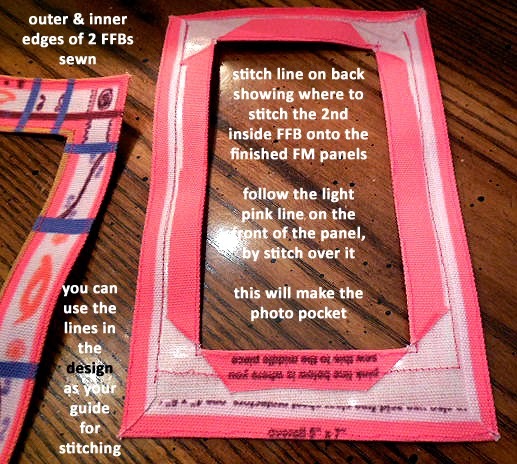 Make sure that outer excess fabric corners are cut away, too, for BOTH FFB panels. 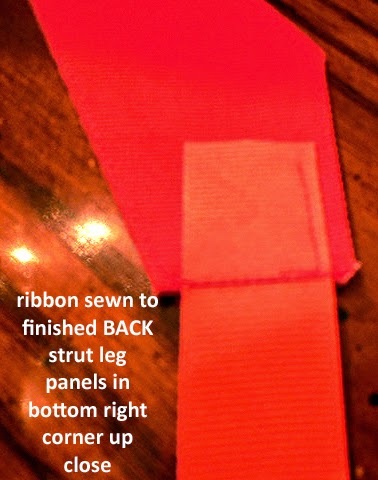 front strut leg panel sewn on top of back strut leg panel, with ribbon in between - ONLY SEW along top, angled right side, down, to bottom, across bottom, then STOP - leave an opening on the left angle side for the removable strut leg board that slides in and out! 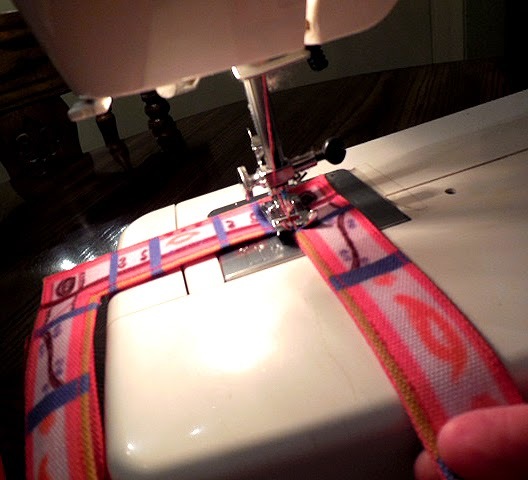 straight stitch close to the edge of the cut hole, then follow that line with a zig zag stitch, making sure your machine is set to zig zag function, stitch length 1, stitch width between 3 and 5, and zig zag 2 or 3 times around the holes. NOW - SEW the finished EASEL BACK PANElS - WITH STRUT LEG POCKET'S TOP EDGE SEWN TO EASEL BACK - SEW THE 3 OUTER EDGES OF IT, the LEFT, RIGHT, and BOTTOM OUTER EDGES to the outer edges of the joined / sewn 2 FFBs to FM panels - MAKE SURE that you SEW on the FRONT, the FRONT OF THE FRONT FFB side of the frame - that side needs to look the best - it's the front of the frame! 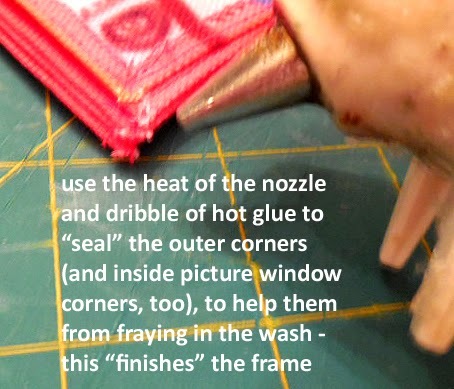 finish all frayed outer corners with dabbing the tiniest amount of glue, use the nozzle head the "nurse" the glue neatly - this finishes the frame, makes it look clean! 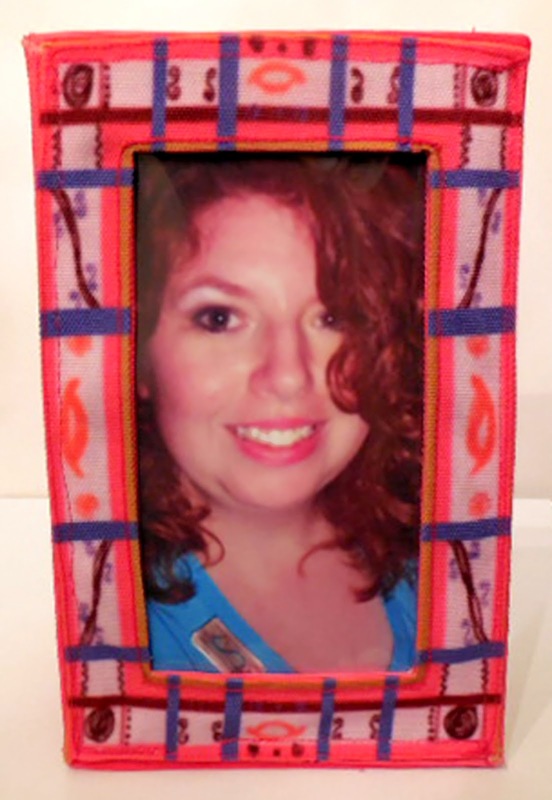 This frame, as with all of my fabric picture frames, are completely washable. 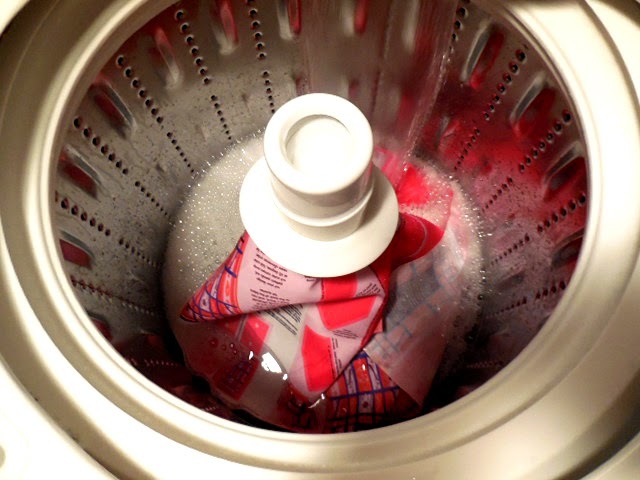 Just place the frame inside a lingerie bag, place that in a cold water, delicate cycle, using mild detergent. The fabric washes well. Even with pigment based ink used, the ink did not rub off on my fingers, and no ink washed out in the washer. To dry the frames, just place the frame on a towel, standing up, to air dry - because of the Heat n Bond glue backing the fabric panels, I think that the dryer may be a little too much, however, I did test a ribbon roses and leaves, washable, satin photo frame in the wash, and then put it in the dryer on the lowest temp for 15-20 minutes, and it was fine, and there was a LOT of glue in that frame. I guess, when in doubt, keep it out ...of the dryer ...just in case. And there you have it! 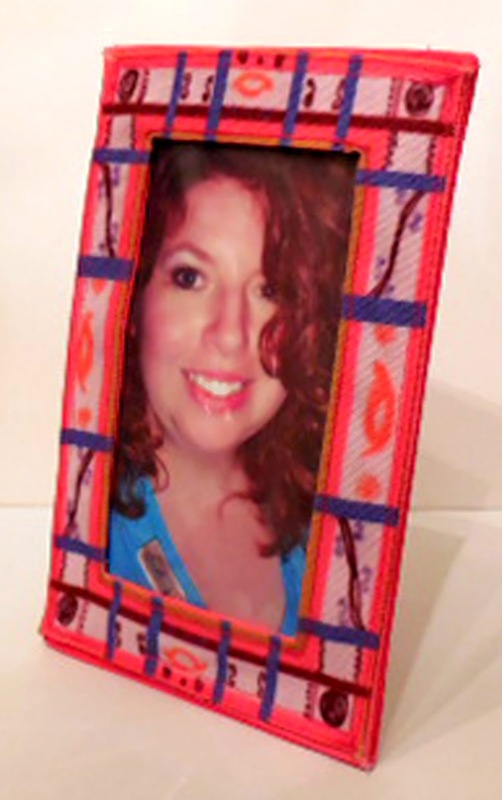 One way to use Zazzle custom fabric! I truly feel that this is the beginning of an amazing partnership, or partnerships! One, between Zazzle and Manual Woodworkers, creating textiles, specifically for artists, quilters, designers, crafters, for us to fully utilize all of our skills, and in turn, stemming from this, more creative capabilities are opened up for new textile projects, products that no one has yet to realize. These are truly great fabrics, thick enough for art and durability, function and aesthetics married for glory. Another partnership is made between artists, Zazzle, and Manual Woodworkers, with yet another awesome creative option put out there, for all to reap rewards. costume jewelry brooch pins, button, badges, etc. dog accessories, like t-shirts, jackets, and bellybands for "accidents"